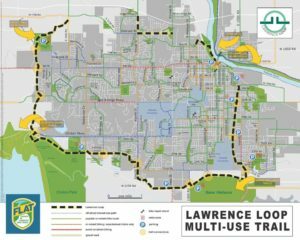 The City of Lawrence is excited to announce that the Municipal Services and Operations Department has received a Transportation Alternatives (TA) Program grant from the Kansas Department of Transportation for Fiscal Year 2020. 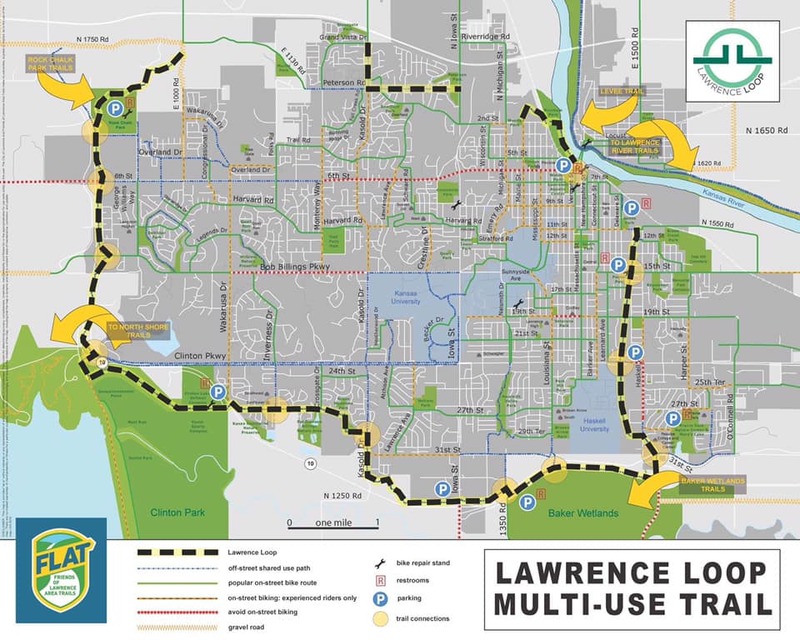 The grant, in the amount of $480,000, requires a twenty percent match and was provided to aid in the completion of a ten foot shared use path for sections of the Lawrence Loop from 8th Street to 11th Street and 29th Street from Burroughs Creek Trail to Haskell Avenue. Construction of the Lawrence Loop began over 20 years ago with completion of the west-leg of the South Lawrence Trafficway. Segments have been added incrementally through Transportation Alternatives (TA) Program and other grants. According to the Kansas Department of Transportation, information about the other TA grant recipients is forthcoming. 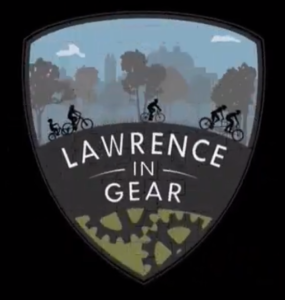 As part of the development of the Lawrence Bike Plan, eight videos were produced. Celebrate the work of 28 volunteers and City staff in creating these valuable resources. Bicycle safety education has historically only focused on teaching bicycle riders how to navigate the roadways safely. These videos offer a new perspective, one to which more people can relate, from the motor vehicle driver perspective modeled off The Bicycle Friendly Driver curriculum created by the City of Fort Collins, Colorado. The curriculum aims to educate motorized vehicle drivers about how and why bicycle riders travel the roadways in the ways they do with the objective of developing a shared understanding for all users. Thanks For Coming Out To The Fall Community Bike Ride! September 17, 2018 / / Comments Off on Thanks For Coming Out To The Fall Community Bike Ride! 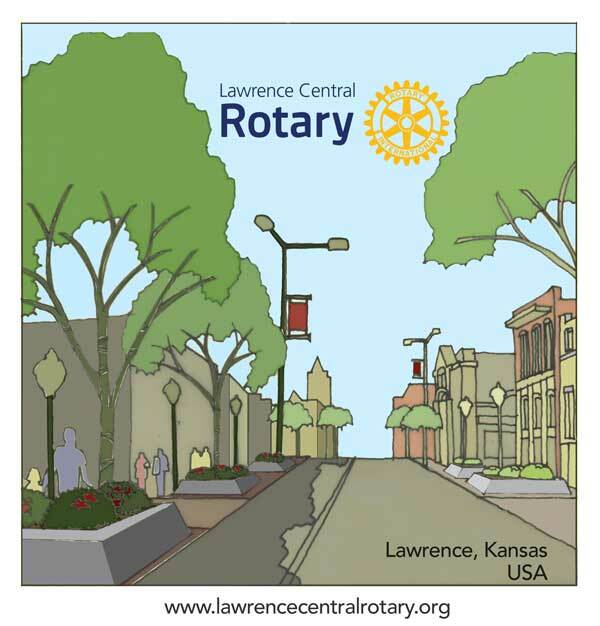 On behalf of all of us at Lawrence Central Rotary, a big thank you! On Saturday we hosted the 2nd ride of our "Community Bike Ride" initiative. In spite of warm weather, overlap with the KU football game, and a variety of other options, we were able to total 79 participants (by counting the waivers). We had another successful helmet giveaway – as well as providing neon safety vests and shirts. For the year (both rides), we had 247 participants, we gave away 107 helmets, 98 vests, and 105 shirts (with shirt and vest totals only limited by our inventory). And, importantly, we had another successful year without injuries. We heard multiple people share that it was "…my first time on this trail!" and more than one family share that they were back with kids who had graduated from our training-wheel takeoff clinic (that Jane Huesemann leads). Speaking for the group – each time we help fit a child (or adult) with a helmet – provide them with a bright (neon) vest or bright shirt – we know we are proactively promoting well being (safety). It means a lot to us – and we could not pull this off without your help. Below is a gallery of pictures (thank you Lynn O'Neal, Tobin Neis, and the folks at Friends of Lawrence Area Trails). Our fall ride that started at the Haskell Stadium parking lot and went up along the Burroughs Creek trail and back. We are looking forward to coming back in 2019 and we hope you choose to be along for the ride! 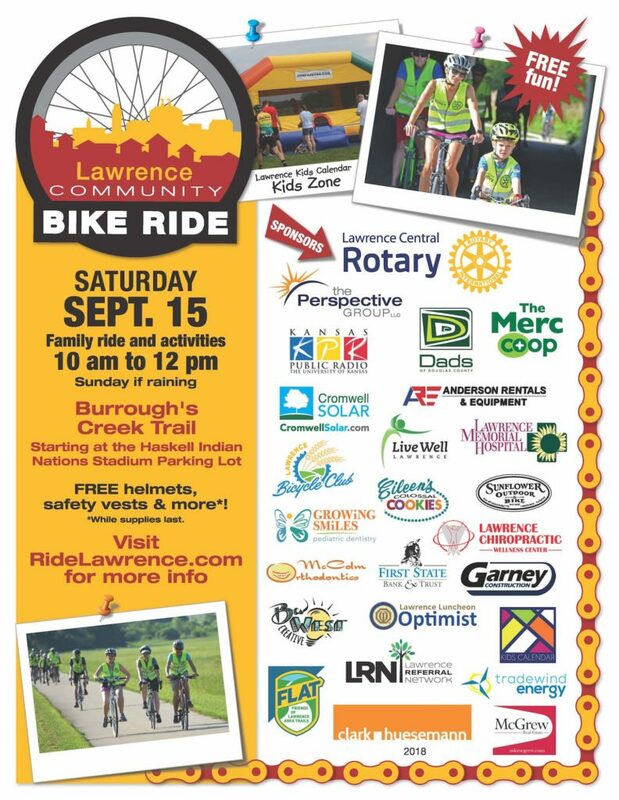 We've reserved the space, got the sponsors, now we need you to come out and enjoy our second 2018 Lawrence Community Bike Ride. The always popular Lawrence Kids Calendar Kids Inflatable Zone! The ride will be on Lawrence's Burroughs Creek Trail which is a great, smooth concrete multi-use path that is wonderful for beginners as well as seasoned riders to have a safe place to ride and enjoy Lawrence's Eastside. Thanks to all our sponsors these annual events just get better and better. 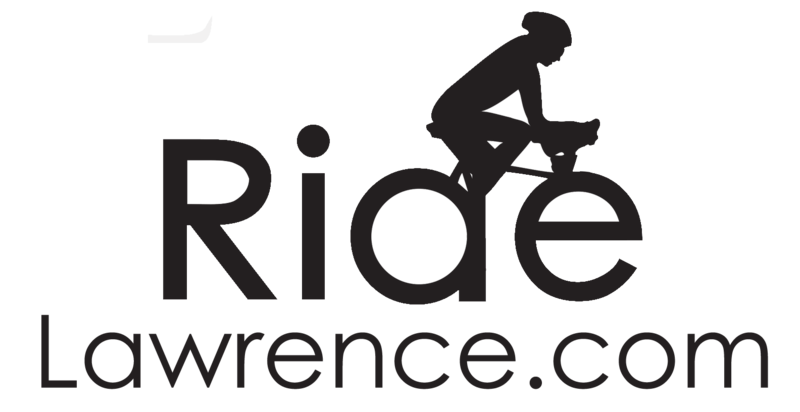 All riders must fill out a release you can download one from this LINK. Get this on your calendar! We look forward to seeing you! More information coming but set aside the dates!